Banding Hummingbirds for science . . . and the thrill of holding such a mystical being! This is something I’ll have to look into doing next year! I can’t imagine actually holding a hummingbird. Wow. Please forgive me for shamelessly reposting this report that was initially published in August of 2013. Whoohoo! An update to this post: Today, The Idaho Statesman reports that hummingbird banding projects across the country are paying off with new understandings and fresh questions about the life of a hummingbird. It is becoming clear that the life span of hummingbirds is much longer than the two to three years originally assumed. And a new-to-Idaho species, the Anna’s hummingbird, has made several appearances. The crucial missing link in this long-term research is active bird-banding at the migration destinations in Mexico and Central America. 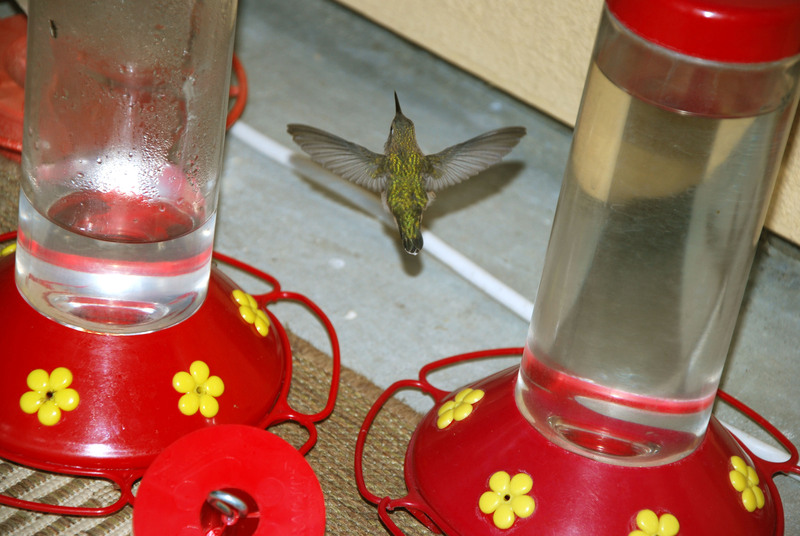 Between May and September, hummingbirds are on the move across Idaho. At least three species of these itsy-bitsy birdies—smallest bird species in the world—migrate from their winter range in Mexico to their breeding range in Alaska and back again. Oh my! I have been honored on the hallowed ground of The Odd and Unmentionable. This is truly an honor. Thank you, my friend. BRILLIANT! ABSOLUTELY BRILLIANT. I’M REFERRING TO: 1.) THE ORIGINAL WRITER OF THIS AMAZING BLOG, LINDA PAUL; 2.) THE NATURE-LOVING RE-BLOGGER DIA; AND 3.) THE MAGNIFICENT LITTLE CRITTERS THAT BEAUTIFY OUR WORLD AND MYSTIFY OUR MINDS OVER AND OVER AGAIN!